Floro International presented its conversion mounting for CIS 40mm AGL in a Textron 1-meter Turret of PMC. At the 7th International Aviation Maritime & Defense show in Manila. The Floro company (same owners as Floro Blue Printing…) exhibited a conversion mounting for the Textron Marine & Land Systems 1 Meter Turret of the Philippine Marine Corps V150 and V300 vehicles. Floro International Corporation has announced today that it will be participating in the competition for the repair and upgrade of the V150, V300 Light Armoured Vehicles (LAV) of the Philippine Army and Marines under the modernization program of the Armed Forces of the Philippines. f l o r o will be teaming up with Singapore Technologies Kinetic to perform the work in f l o r o 's defense manufacturing plant in Tanay, Rizal. according to Victorino Floro, Chairman. 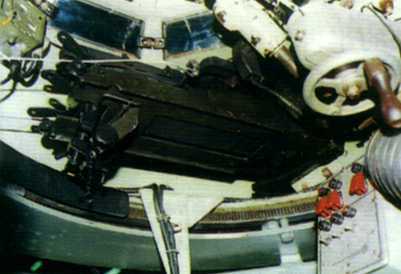 The conversion can be fitted in lieu of the 7.62mm or 12.5mm machine gun on the left or right mounting cradles. 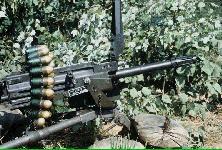 But this option and several others that included the winch, smoke grenade launchers, etc. 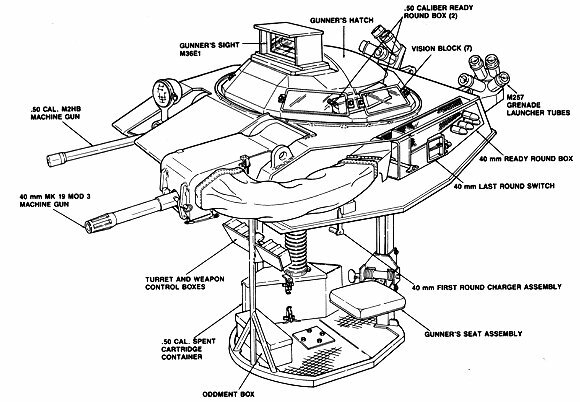 were not included as a savings measure when the V-300 was selected for the US Military Assistance Program (MAP) grant for the Philippine Marines in the early 1990s. The experience of the Marine armor in Central Mindanao showed that the AGL would have been a useful weapon. 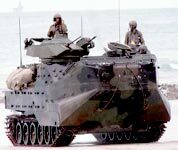 The 40mm 1 Meter Turret has been seen on many occasions on the AAV-7s of visiting USMC units during the Balikatan and CARAT exercises.